We are excited to be participating in the upcoming Silicon Valley Personalized Medicine World Conference being held right here in our own backyard. Co-hosted with Stanford Health Care and Oracle Health Sciences, the conference will take place January 26-28th at the Computer History Museum in Mountain View, CA. The conference will explore content that helps close the knowledge gap between different sectors, thereby catalyzing cross-functional collaboration to further the adoption of personalized medicine in the clinic. PMWC 2015 will gather leaders across intersecting fields including Craig Venter, Margaret, Hamburg, Anne Wojcicki, George Church, Dennis Lo, Krishna Yeshwant, and many more. A full speaker list can be found here. 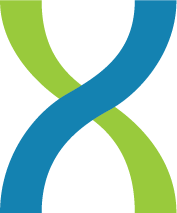 DNAnexus Senior Scientist, Vince Ramey PhD, will deliver a talk titled “Addressing Operational Challenges of Prenatal Testing such as Scalability and Global Data Access” at 9:30 AM on Monday, January 26th. His talk presents a global test delivery system case study that draws together several of the conference program’s main themes, including Newborn and Prenatal Dx, Clinical Methodologies and Application of NGS, and Large Sequence Data Analysis and Clinical Interpretation. To learn more about DNAnexus and see a demo of the DNAnexus platform, stop by the exhibit hall on Monday and visit Table #21. For more details on the conference, check out Personalized Medicine World Conference.